The research is increasingly clear: Children of all races learn better in racially-integrated schools. Yet in the Los Angeles Unified School District, more than half of the students — around 289,000 kids — attend a school that's more than 90 percent black and Latino. Maybe that's not a shock in a district in which white children make up less than one-tenth of the student body — and Latino kids make up nearly three-quarters of it. Still, an outsized share of California's most racially-isolated schools are found in LAUSD. "Segregation exists in our community," new LAUSD superintendent Austin Beutner told KPCC shortly after he was named to the top job in May. The question is what, if anything, Beutner or the district can do about it. School segregation is an issue driven by complex societal factors, some of them extending well beyond the schoolhouse door. For instance, research confirms white parents still want to live near predominantly-white schools and Census data shows most Latino kids still live in overwhelmingly Latino neighborhoods. "Most parents want an integrated education for their child along race, class and culture lines," she said. "But they don't tend to live in areas that look that way. If you don't live in areas that look that way, your schools won't look that way." L.A. Unified has some ongoing integration efforts. Chief among those efforts is, a magnet school program that began after a court order in 1977 and remains popular today. Beutner, for his part, is skeptical about how much can be done in the schools, at least in the short-term. "There are some things on the margin schools can do," he said. But he cautions against "a drift toward the hope that there's some silver bullet on the policy side that solves all." "I'm not a big believer in 'policy solves all,'" Beutner said. "I think sometimes you just have to get out and do the work, and the work happens in the classroom." Others see it differently. Some advocacy groups contend integration policies could be a solution — or at least part of one. Let's look at some recent history. For decades, educators and policymakers across the U.S. have struggled to narrow wide gaps in academic performance between white and Asian students and less-privileged African-American and Latino students. The last time they made significant and sustained progress? You have to look back to the 1970s and early '80s — which also happens to be the height of school integration. WHAT IS BEYOND THE DISTRICT'S REACH? Beutner has a point when he says the district's range in fighting segregation is limited. A 1978 court-ordered plan for mandatory desegregation busing in L.A. Unified was never carried out — because parents revolted. In 1979, California voters amended the state constitution to basically outlaw mandatory desegregation busing (and the U.S. Supreme Court said that was okay). Patrick Wolf, an education professor at the University of Arkansas, said Beutner isn't wrong to note the legal and political limitations on the district's ability to force policies that would desegregate. "He's kind of right, a little bit," Wolf said. "But it's too defeatist," Wolf added, saying Beutner does have some tools at his disposal. 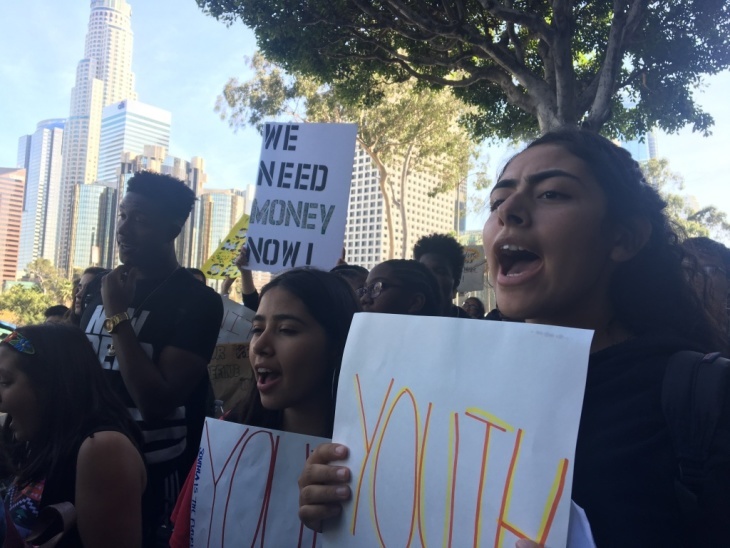 Wolf said Beutner could expand LAUSD's existing magnet program or redraw school attendance boundaries in hopes of achieving a slightly-less-skewed racial mix in more schools. But he Wolf acknowledges both options have their limitations. "There aren't magic bullets and easy solutions," Wolf said. "Let's look for progress on these fronts and not completely abandon the goal of better racially-integrated schools." WHAT OTHER TACTICS COULD THE DISTRICT TAKE? In his interview, Beutner said he felt improving the quality of instruction in a school, rather than tinkering with policies that could change the racial makeup of its student body, was a better strategy. Beutner said communities need to have tough conversations about equity. 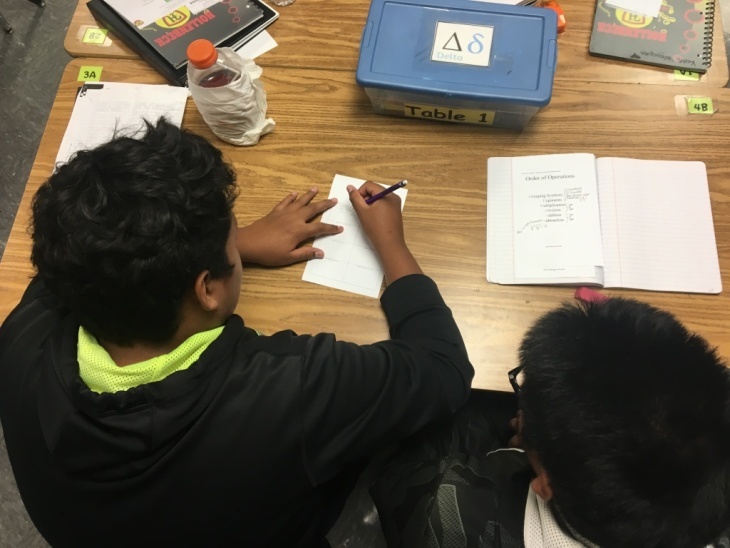 "But," he said, "let's not separate those from the hard work of making sure that each student studying math today in L.A. Unified has a great math teacher," the classroom resources they need to learn and a strong principal at the helm of their school. "The more we can do, day-in, day-out, in the classroom — that's where progress is going to happen," Beutner added. "This policy conversation about how do we address inequities in society ... to be continued. I don't know that those are going to solve things in this time frame." WILL FOCUSING ON 'TEACHING AND LEARNING' WORK? That depends. The University of Georgia's Sheneka Williams said it matters what Beutner means exactly. She notes the very reason integration is important is because racially-diverse schools often have more and better resources. Still, "if we just want to do 'teaching and learning,' that's very colorblind," Williams said. "But if you do teaching and learning that better fits your student population, then you might be getting somewhere." For example, the teaching staffs in urban schools tend to be whiter than the student body. Williams asks: have these teachers received culturally-sensitive training? Are black and brown students' cultural experiences and history reflected in their assignments, textbooks and reading materials? Are these students getting equal access to honors courses? Integration, Williams said, can happen within a school, too. But even if those improvements to teaching and learning are good, Williams said, it's possible Beutner sees school integration policy as a third-rail political issue — touch it, and you're dead in the water. "I think [Beutner] might think that if he gets mired down in that, he might not get to any of his other goals for the district," Williams said, "so let's just focus on teaching and learning." History books are full of images illustrating the political risk: the bitter anti-integration protests of the 1970s, led mostly by white parents, in school districts like Boston and Louisville, Kentucky. Even today, New York City Mayor Bill de Blasio's recent school integration plans have prompted controversy. Wolf said he's noticed more activists groups shying away from integration fights and pivoting, like Beutner, to the issue of school quality. "We tried the integration fight," these activists tell Wolf, "we didn't succeed, we didn't get much purchase on that. Now, we're just striving to ensure that more students of color have more access to a quality school regardless of racial demographics of that school." In fact, in Los Angeles, Alberto Retana, who leads the Community Coalition of South L.A., has previously made almost this exact point. "In the short term, though," Retana told KPCC in December 2017, "I think that we should be concerned about the quality of education, not the composition of the schools. We have to do both, it's not either or, but ... my worry when we talk about racial isolation is that we then focus on how to integrate the schools and we never talk about the quality of instruction, programming, resources." "What these folks are saying," Wolf said, "is suggesting that there's a bit of a trade-off in the trenches" — that even though integration can help disadvantaged kids, it can come at the loss of more immediate and less-abstract help for schools. In L.A. Unified, race is not the only demographic marker of an underprivileged student. State data show roughly one out of every four LAUSD students is not yet proficient in English. 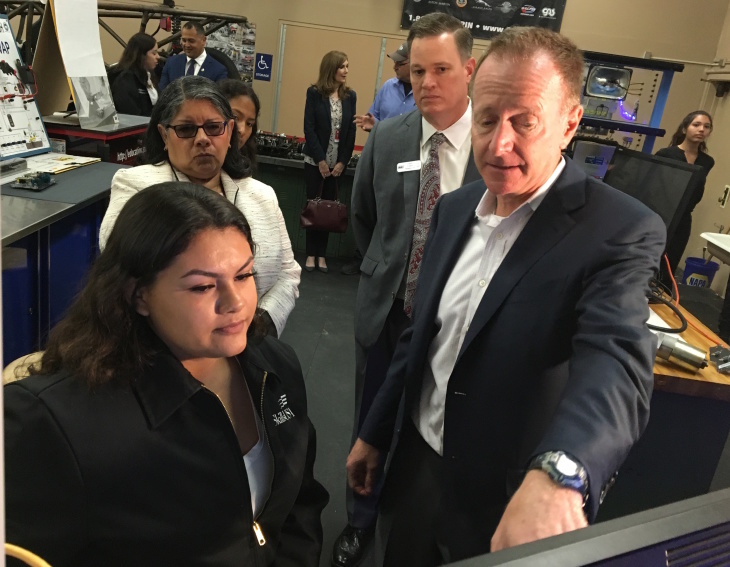 In his KPCC interview, Beutner noted there are other district programs will help level the playing field for these students: for instance, bilingual education programs. "Suggesting that a student who comes with proficiency in a different language — Spanish, Armenian, other language — let's take that as a gift," Beutner said. "Let's take that as an asset." Still, "integration should always be the goal," said Williams. Williams said Beutner might explore options to create school choice across district lines. But she said integration does not only come from policy changes; it requires community conversations with stakeholders ranging from parents to the Chamber of Commerce and residential developers. "I don't think," she said, "that the superintendent should have to bear this on his own." Editor's note: A version of this story aired on KPCC. Listen to it here.